The mass of Villa Mondragone, towering on a hill 416 m. above sea-level, lies in the area of the villas which take their name from the ancient town of Tusculum, between the commune of Frascati and the one of Monte Porzio Catone (to which it belongs). The estate consists of an 18-hectare lot. 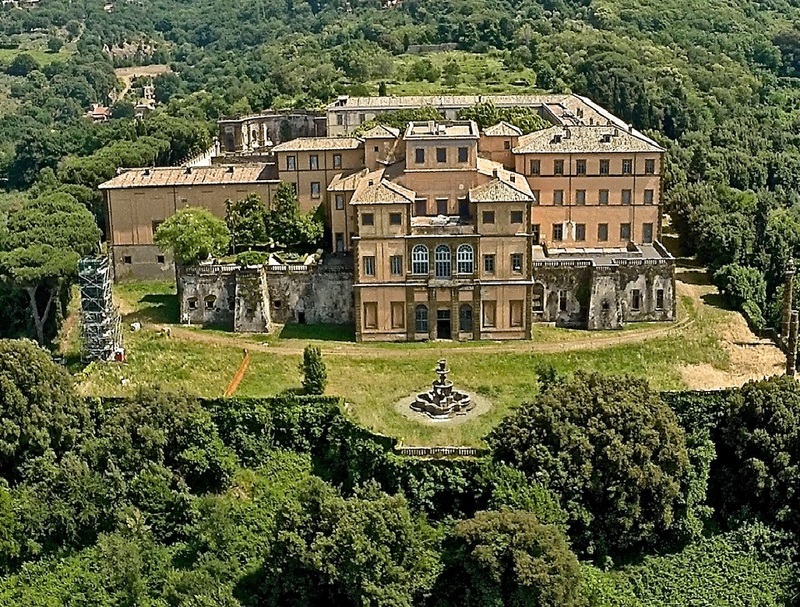 In the middle, a dominating position and with a magnificent view towards Rome, rises the imposing building of the villa of about 80,000 cubic meters. The name of Mondragone refers to the heraldic dragon which occupies the central position in the coat of arms of the Boncompagni family and which is represented in various parts of the villa and garden.